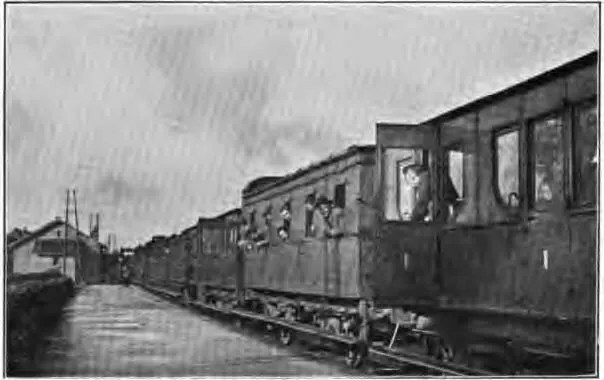 Following its relief from the Aisne line in the Chemin des Dames sector, the main element of the 26th Division marched to Soissons where it came under severe concentrations of long-range artillery fire while boarding trains to Bar-sur-Aube. 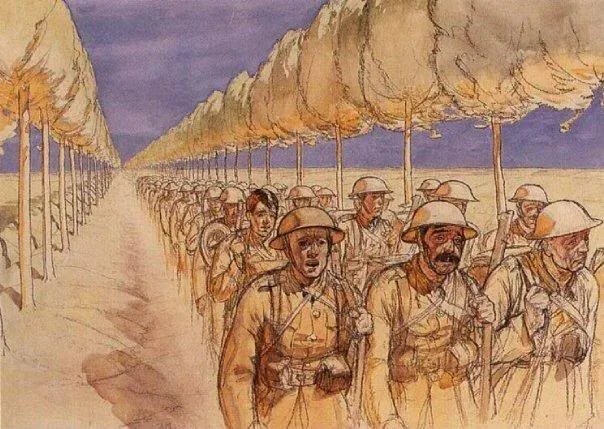 On March 21 the entire Division began a four-day march from Bar-sur-Aube (Point A) to the East at a pace of about 20 miles per day, passing thorugh Doulevant-le-Chateau, Soulaines, Andelot, Vignon and Joinville-sur-Marne. The Division arrived in the area of Reynel (Point B) where it remained for two days before continuing to the Toul Sector where it relieved the First Division. Troops billeted in villages around Reynel and Grand (Point C) with Division HQ established at Reynel on March 26. Then began a period of internal transition in leadership as numerous officers and non-commissioned officers (NCOs) were taken from the ranks and returned to the United States as instructors. A large number of replacement officers were received who needed to acclimate to combat conditions. 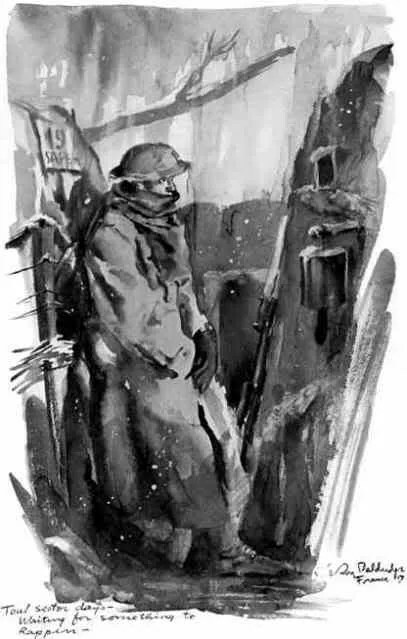 Around this time at the end of March in the 103rd Infantry, Hdq. Co.’s Captain Carl H. Tobey was relieved of command and First Sergeant Sam Avery also found himself reduced to a Private through “no fault” of his own. The specific reason for Captain Tobey’s transfer and Sam’s reduction has been lost to history, but a careful reading between the lines in Sam’s letters at this time implies that Captain Tobey was removed from command for cause. Sam’s own demotion could have been collateral damage due to his close association with Tobey, or simply at the prerogative of the new company commander. There are no existing military records that provide any further information on this matter. As Sam states, it was indeed a “common occurrence” for officers of all ranks in the 26th Division to be abruptly removed from their commands and reassigned either to rear Services of Supply (S.O.S.) areas in France and England or to training bases in the United States. Frequently, the original National Guard officers were replaced with Regular Army officers deliberately inserted into the organizations so they could both acquire the combat experience necessary to advance their professional military careers, and also to provide what was widely assumed to be a superior quality of combat leadership. As the First Sergeant was a company-level grade, whoever served in that capacity did so at the prerogative of the company commander. Although unusual, it is certainly possible that depending on circumstances a new Captain might either bring or appoint a different First Sergeant for the company upon assuming his command. While transfers and reductions of this sort did not necessarily imply punishment for any misconduct or dereliction of duty, they certainly did cause humiliation and bitterness for conscientious soldiers on the short end of these decisions. In Sam Avery’s case, the evidence of reorganization in the 103rd’s Headquarters Company is marked by changes in the Censor’s seals on his outgoing correspondence: Where previously Sam’s letters had been reviewed and cleared directly by Capt. Tobey, now they were censored either by a 1st Lieutenant (A.F. Coulter) or 2nd Lieutenant (P.H. 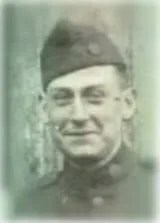 Roger) who may possibly have been either new or temporary appointments to the Company (neither of these officers appear on the final Regimental casualty list nor the roster at Camp Devens in 1919). 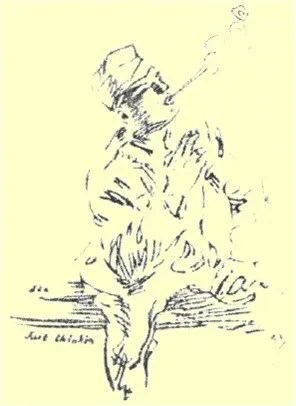 A later letter from Sam indicates that Capt. Tobey was placed on detached service for a period of almost two months before returning to the Regiment in a different assignment (records indicate he was appointed to an administrative role as the 103rd Personnel Officer on 5/4/18, transferred to AEF General Headquarters on 8/28/18, and finally appointed as Divisional Personnel Adjutant for the 80th Division on 9/9/18). At the time, many company-grade officers deemed “inefficient” (untrained, unfit or unsuited for their responsibilities) were sent to the Casual Officers Depot and Reclassification Center in Blois for evaluation pending reassignment. Apparently Capt. Tobey was found to be somehow lacking as an infantry combat officer, and was reassigned to an administrative role in which he succeeded and later advanced to the rank of Major. Much to Sam’s disappointment, Capt. Tobey never resumed command of Hdq. Co: Records indicate that Captain Donald C. Metcalf was promoted and placed in command of Hdq. Co. in mid-August, 1918. Capt. Metcalf remained in command for the duration of the 103rd Infantry’s deployment, thereby dashing any further hopes Sam had of being reinstated to the position of 1st Sergeant. Ironically, Sam’s loyalty to Captain Tobey had been unquestioned since they served together in the old 8th Mass. 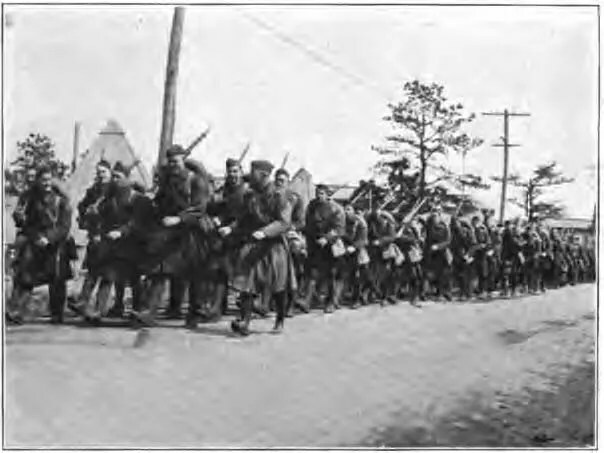 Infantry: Sam writes about how he and other Sergeants had even insisted on remaining with Captain Tobey during the time of the 26th Division’s original organization at Westfield. Now the chain of command made it painfully clear that there was no room for any personal or regional National Guard loyalties in the new U.S. Army. But once again, Sam kept his head up and soldiered on.